Our Social Network software – mooSocial has received many new features and improvements to date. Important features were added such as User Mention, Sharing to help increase social interaction. There are more! Many other improvements such as unicode hashtag, “right to left” (RTL) language support, cookie warning for EU cookie law,… Not only these new update provide new features to end users, there are other enhancements to help site admins to better manage their social network sites. 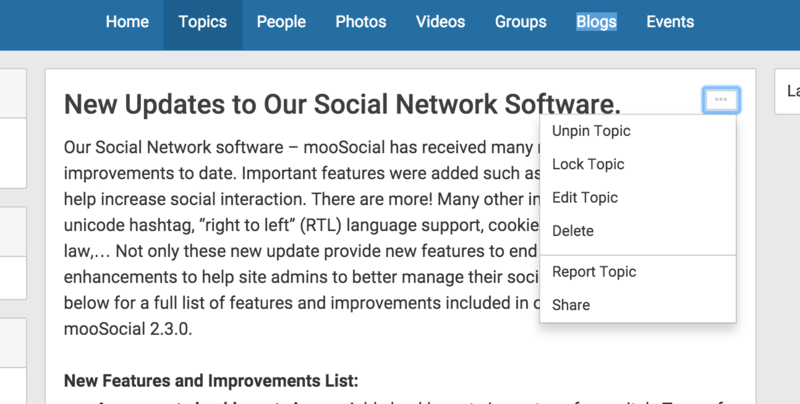 Check below for a full list of features and improvements included in our newest version – mooSocial 2.3.0. Agreement checkbox at signup: Add checkbox at signup to enforce site’s Term of Service when users register. Comment and message: Newest First sort style to help display content better and to work nicely with “auto load more” feature. Cookie Warning: to comply with EU cookie law. Welcomes your first time visitors with a custom message asking for their consent using cookies on your social network website and redirects them out of your site if they disagree. Hashtag: supports Unicode. Improve item’s tag in plugins by eliminating special characters and multi words tags. Item’s tags is now merged with hashtag to provide better search capabilities. Log in as User: Ability for site admins to log in as a different member for support, review or edit contents as that user. Message Settings: Ability to define globally if non-friend members can send private messages to each others. Users also have the option to accept incoming messages from other non-friend members. Private Group: Only invited members can join and see contents of private groups. Right to Left (RTL) Support: Admins can set which languages are RTL to display properly in RTL format when users choose a matching language. Share: Ability to share any feed’s or plugin’s item to many places including user’s wall, friends’ wall, groups’ wall, message and email. 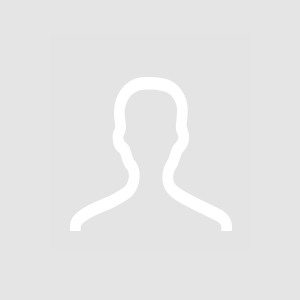 User Mention: mention friends in status updates or comments to include them in the conversation. Who’s Online widget: Add “Show member” option in widget to only show a count of actual authenticated users. There are many more others layout changes, improvements and bug fixes to list. Upgrade Note: Please read carefully before upgrading your existing social network sites. Bright Theme and Dark Theme are yet compatible with 2.3.0. Updated version of these themes will be posted on our Addons section soon. These themes will be released as independent themes and will no longer included in mooSocial’s installation package. Make sure to either uninstall these themes or only use Default Theme and Disallow User to Select Theme if you decide to upgrade prior to compatible updates are available. Make sure all Addons (Themes and Plugins) used on your social network sites are compatible with the latest version if you wish to use them after upgrade. If you upgraded mooSocial to version 2.3.0, All incompatible Add-ons should be disabled until they are upgraded to be compatible with version 2.3.0. Check Addons’ listing or contact your addons’ creator if you have any compatibility questions. You need to upgrade your site to 2.2.1 before moving to 2.3.0 if you are using a previous version prior to 2.2.1. DO NOT upgrade your live site until you have a full backup of your site’s files, database and have successfully performed a test upgrade on your development (test) site first. mooSocial 2.3.0 is available for download. Head over to our Client Area to get your copy now. Thank you for all your suggestions and support to help make our social network script better everyday! We hope you will enjoy using mooSocial just as much as we enjoyed baking it. Ryan Nguyen Welcome back Gavin! Thank you for your suggestions. The "comment sort style" concerns have been discussed. We agreed and think there should be options for admin to choose. Could you please be more specific in regards to "option to report posts"? Gavin Pedley Thanks Ryan. Well I am sure I remember on each posts that is added to the site there was a little arrow or three dots you could click for more actions and one of those was report. Did I imaging this? Ryan Nguyen They are still there, Gavin. However, not on items shown in Newsfeed (What&apos;s New). Gavin Pedley Ah OK thanks. I thought they used to be on each posts in the news feed. Eddie Hi Ryan Nguyen, would you ever include the report post on news feed? Ryan Nguyen I would but only when all our "high priority" items are taken care of, Eddie. This is a low priority since you can report anyone from their profile and using the "reason" field to further describe your report reason(s). Ryan Nguyen Why , ac?